That got my attention. 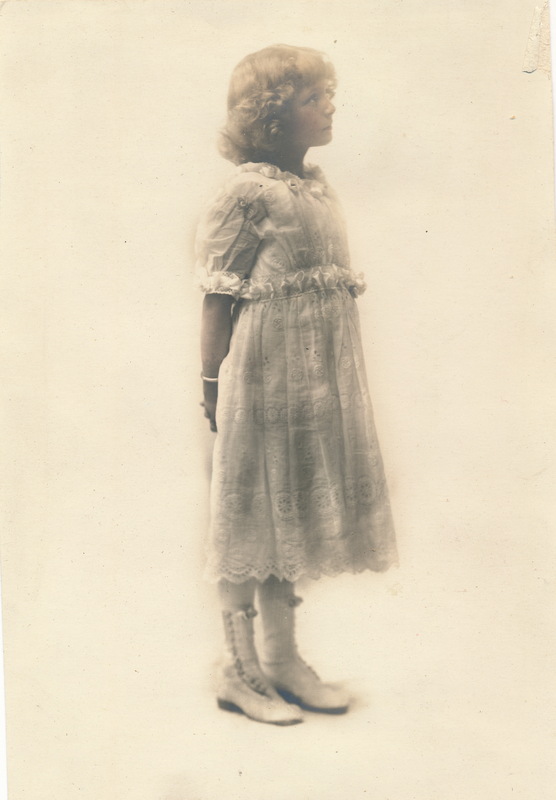 She went on to say her name was Christa Anderson, and she was the great, great granddaughter of Bessie Thompson Porter, who was my grandfather’s sister. We emailed back and fourth, exchanging information and decided, we indeed were cousins. Small world. In August, Mike and I along with our dog Lula went to Sacramento to meet our new family. 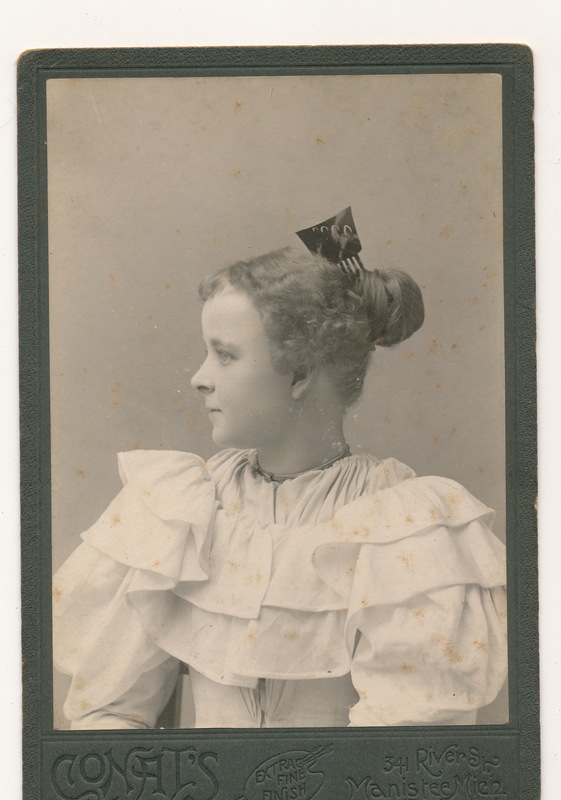 We had a wonderful time meeting new relatives and looking at a trove of photographs that were now in the possession of Lucy Anderson, Christa’s 92 year old grandmother. In October, Claudia Breland, another cousin from Seattle and a professional genealogist arrived for a first time visit and another family gathering was arranged, this time taking place at Mike’s and my home. 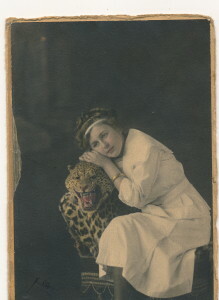 The same trove of photo’s that we looked at in Sacramento arrived and was left with me to scan and present in my blog. 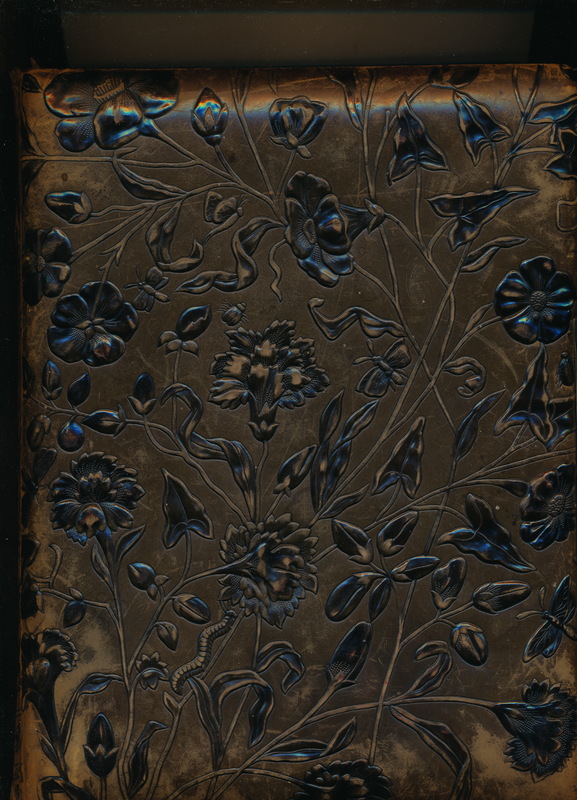 Among the many photographs is a group of them collected by my great aunt Bessie and bound in a beautiful album. 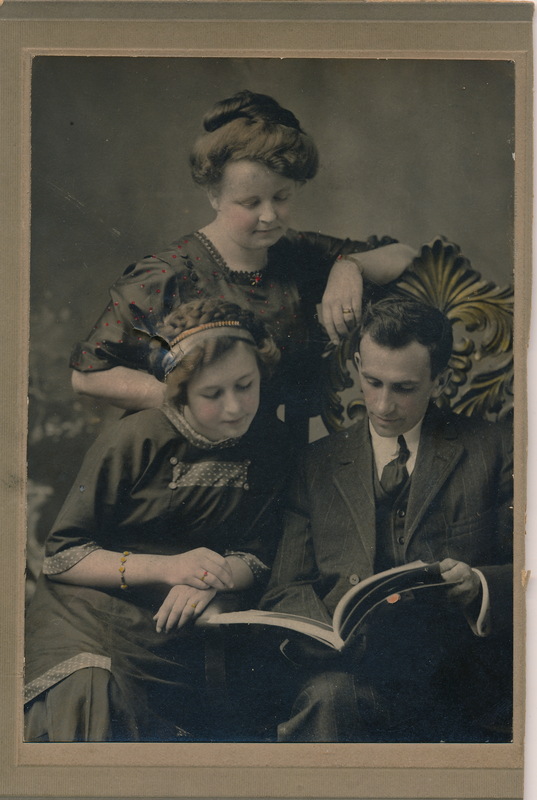 I opened to the first page and there was a photograph of Aunt Bessie’s father Stacy Clay Thompson, my larger-than-life great grandfather. However it was not one of the many photographs I had seen previously. Rather this was a photograph of a stately, but very young Stacy Clay, probably in his early twenties, and taken about the time that Bessie was born: 1879. This dapper young man has hair! His hat is on the chair to his left, and there is a photograph to his lower right of a woman who I can only imagine to be one of his mother. The next is one of my grandfather, Walter with his two sisters, Claudia on his right and Bessie on his left. 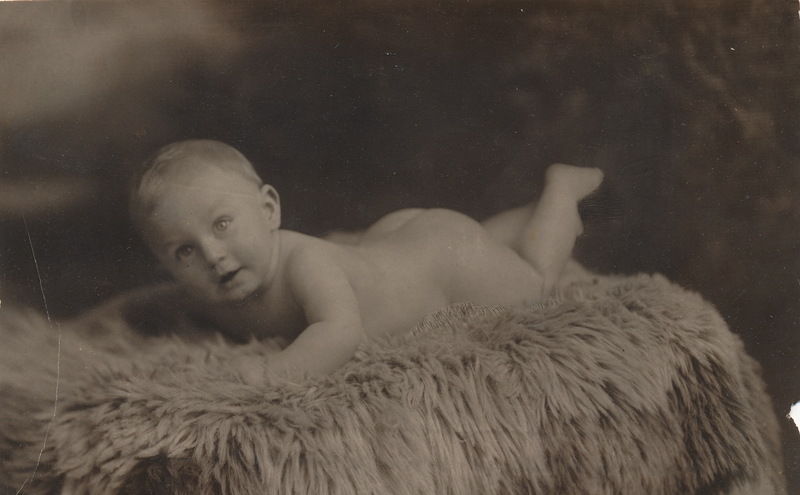 I have never before seen my grandfather as such a callow boy. 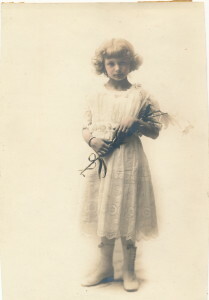 The next is one of Bessie herself, looking quite beautiful as a ten year old girl. And the next is again of Bessie, perhaps a year older. 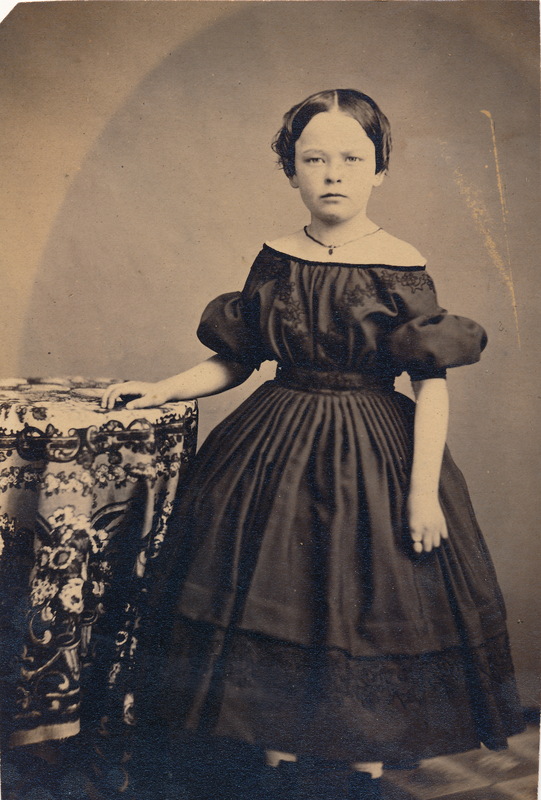 The following photo is one of my Great Grandmother, Ida Mae Goodenow Thompson taken in Chicago in 1866 when she was a ten year old girl. 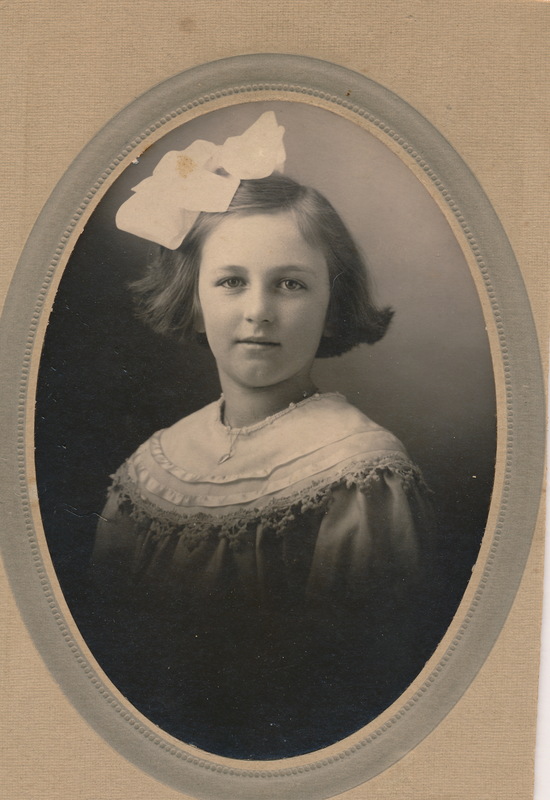 I have very few photographs of Ida Mae. This one shows her sterner self, even as a young girl. 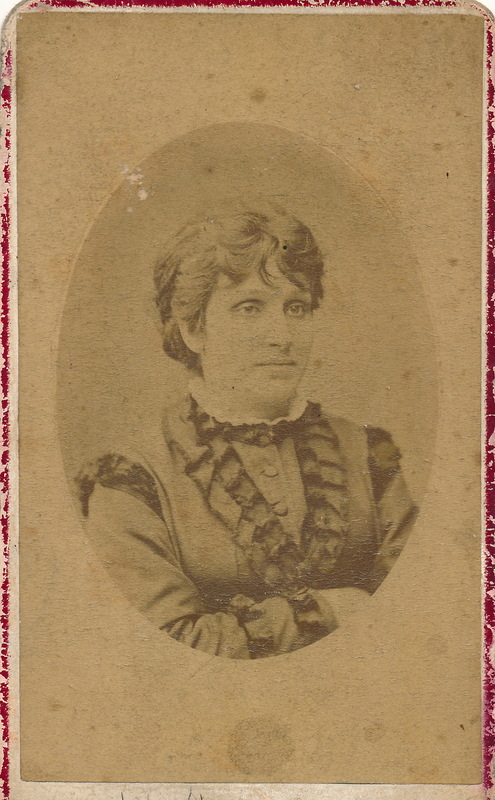 Although not found in Bessie’s Album, among the trove of photographs was found this gem of historic as well as familial importance. 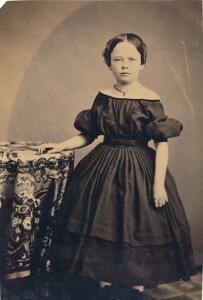 It is a metal print of a photograph taken of Ida Mae Goodenow Thompson in 1856, the year of her birth. 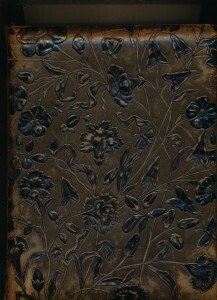 Photography was still in its infancy in 1856, and being able to present it is a joy and a privilege. The actual size of the photo is as it is presented. 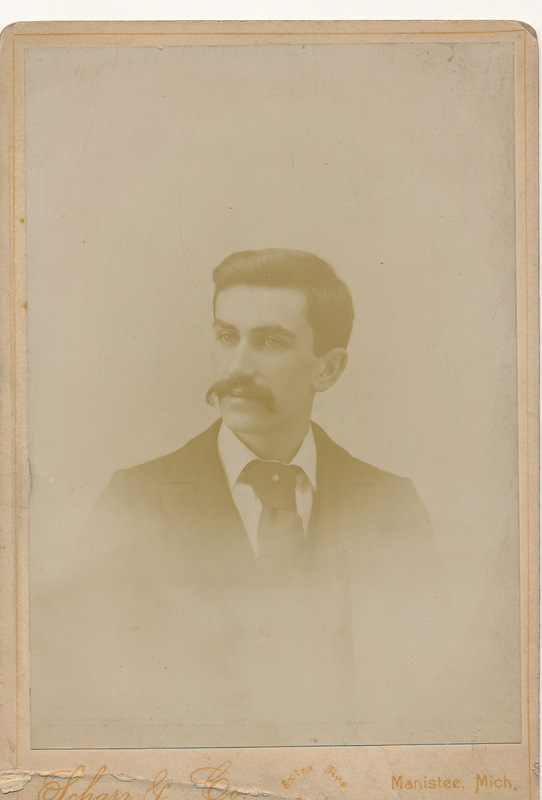 The next is of Stacy Webb Thompson, my great, great grandfather, the father of Stacy Clay, and the grandfather of Aunt Bessie who assembled all of these wonderful photos. This photo was taken in Eugene, Oregon during one of the last trips Stacy took to the west. My guess is that this was taken in 1890 to 1892. Stacy returned to Michigan and died in the home of one of his son’s in 1896. 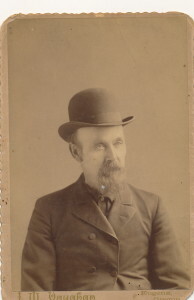 He is buried in Oak Grove Cemetery in Manistee, Michigan. 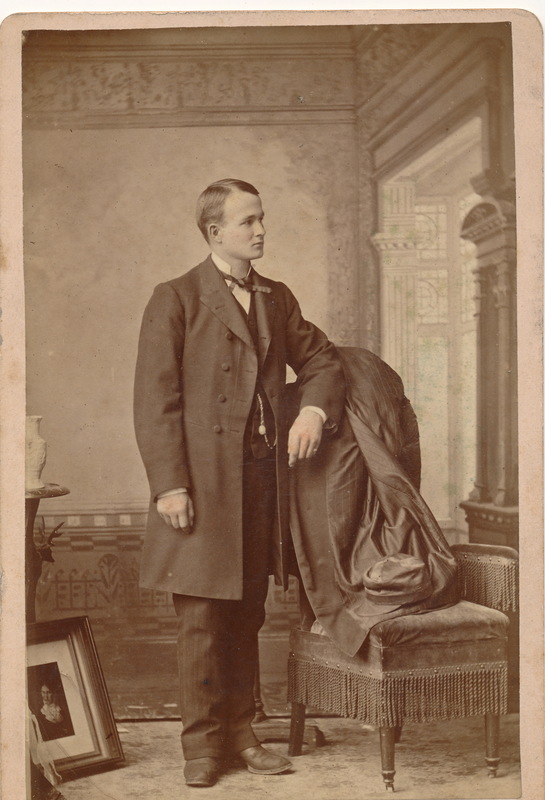 The next is of Albert Porter, or as we called him, “Uncle Albert.” In this photo he is young and dapper, probably taken in Manistee, Michigan shortly after he arrived. 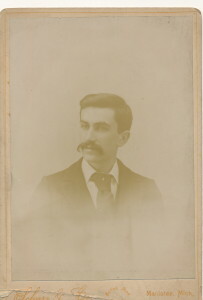 He left London where he was living, travelled to Buenos Aires to visit his father, and then on to New York. Somehow he decided to go to Manistee, Michigan where he met Aunt Bessie. She was 17, he was 27. The rest is history. 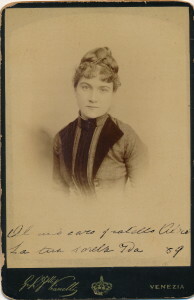 Next is a photo of Albert’s beautiful sister, Ida, dated 1889, with a salutation saying: “To my loving brother from Ida, 1889.” The photograph was taken in Venice, or Venezia. 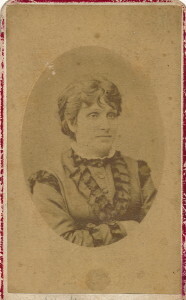 The next photo is of Albert’s mother. 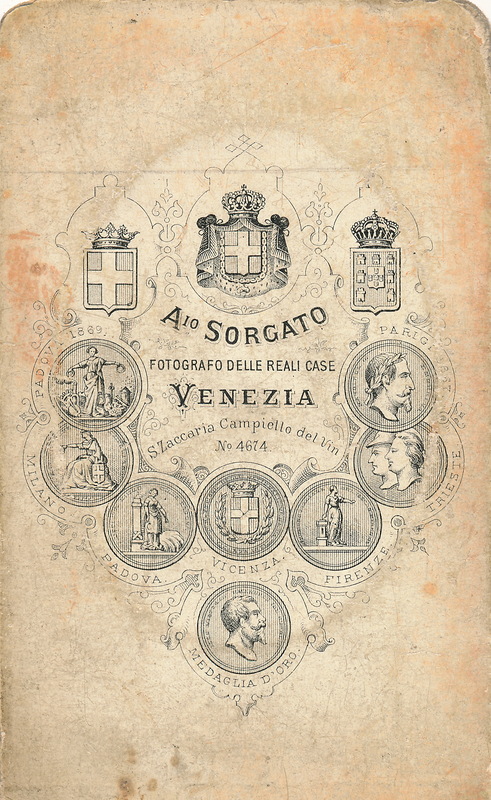 The back of Albert’s mother’s photo gives the place where the photo was taken as being in the city of his birth, Venezia. 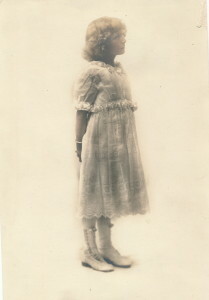 The next photo is of Ruth Thompson Porter Anderson, taken when Ruth was about 10 years old, putting the date at approximately 1908. Those same piercing eyes with a glint of mischief that I saw in 1960 when I visited Ruth in Sacramento are present in this photo. 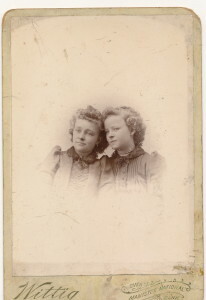 The next two pages show Claudia and Bessie as girls, one photo taken in approximately 1884 and the following one taken in approximately 1885, both taken in Manistee, Michigan. 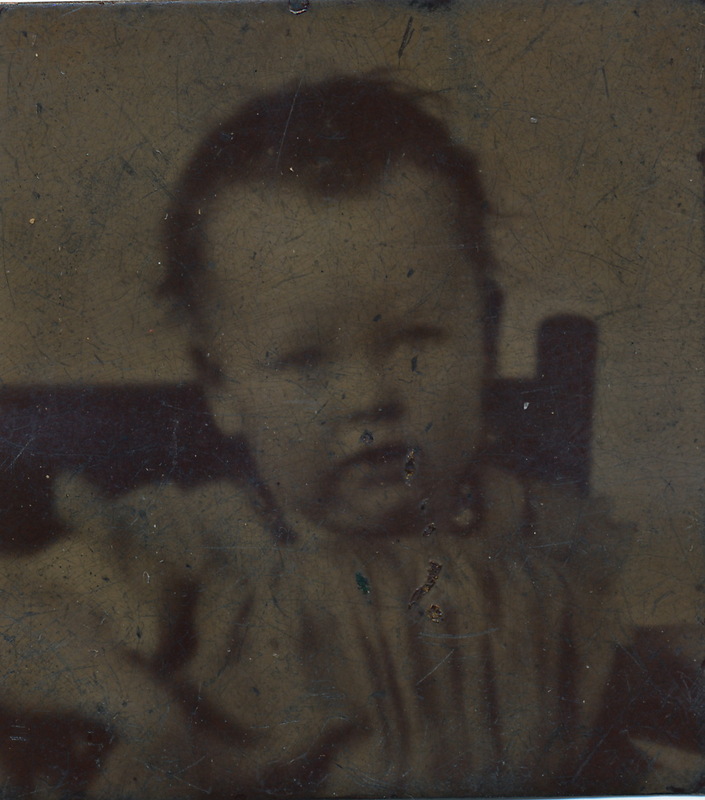 The next is a photograph of Herbert Randall, Aunt Bessie’s brother-in-law, who was married to her sister, Claudia. 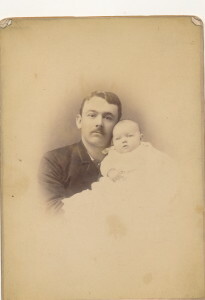 Herbert, or Uncle Bert as I called him is holding his new born son, Raymond, or Uncle Ray as I called him. 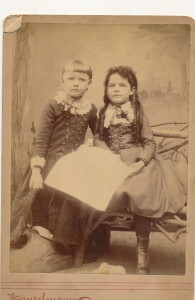 The photo was taken in Manistee in 1900. 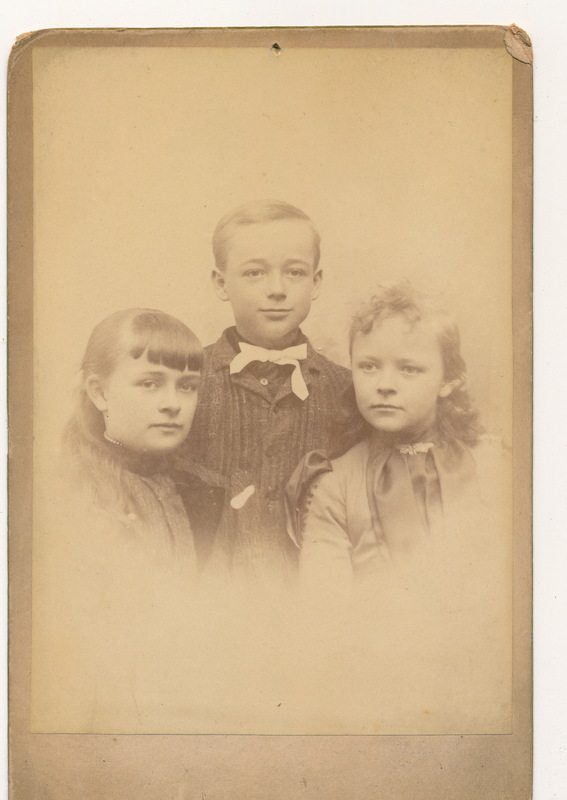 Uncle Bert worked on a ship that sailed in the great lakes region. He was once reported as being lost at sea, but showed up safe the following day. 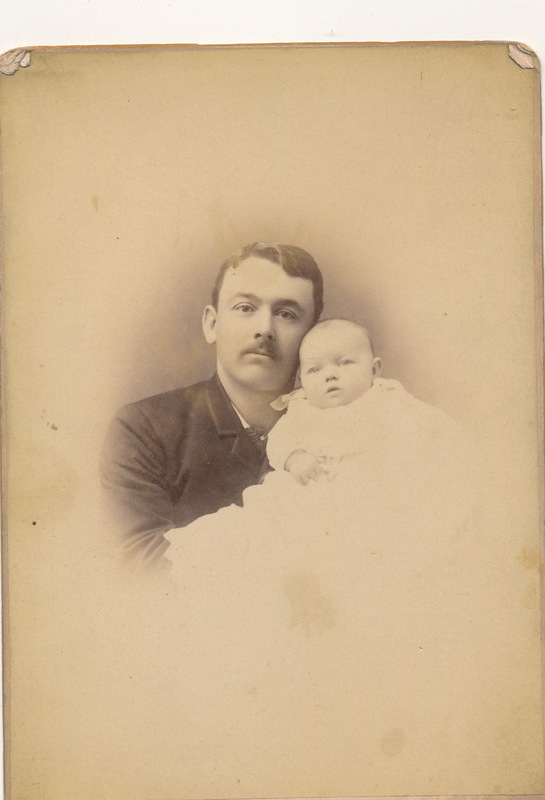 The next photo is of Jack Anderson, the father and grandfather of my new found family and friends . The photo probably was taken in Detroit, Michigan in 1917. What a picture! 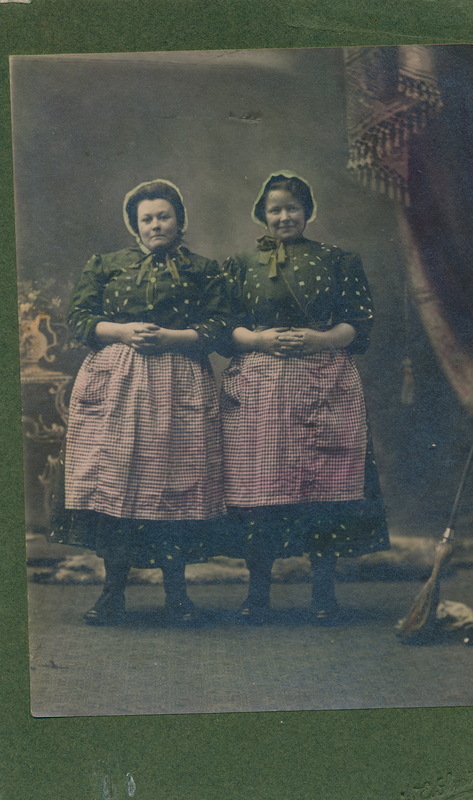 The next is of Claudia and Bessie, showing their lighter side. 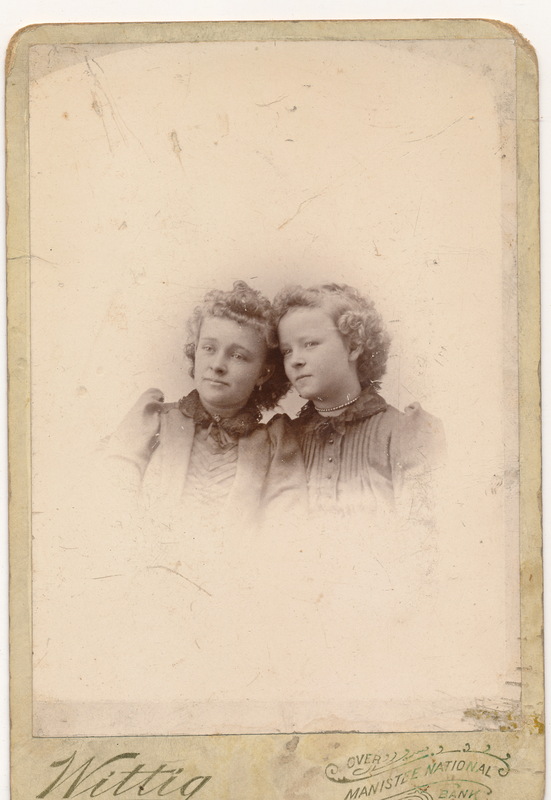 If you look closely at the two sisters, you will soon discern that the faces are real, the bodies are fake. 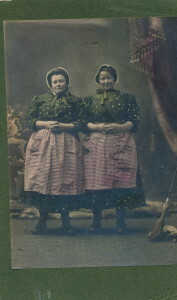 It would take years for each of them to attain the proportions of the bodies seen in the photo. 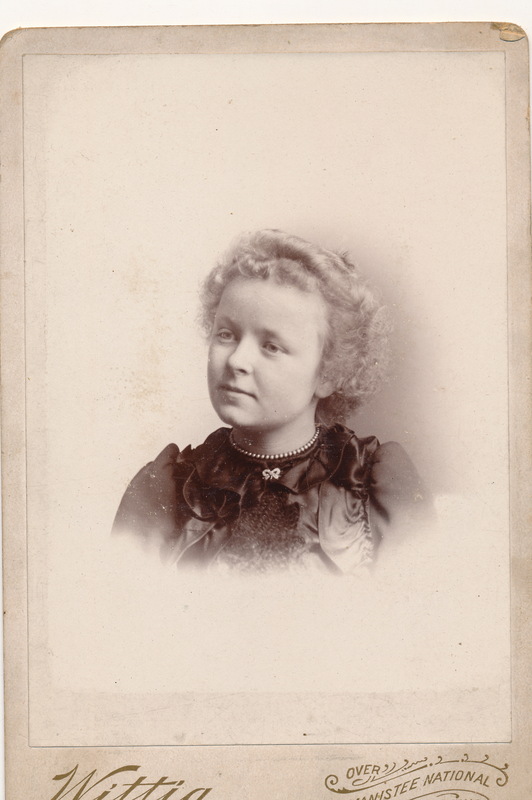 The last two large photos in the album are of Isa May Thompson as a girl, one profile and the other frontal, both represent a beautiful young girl who obviously was the apple of her mother and father’s eye. 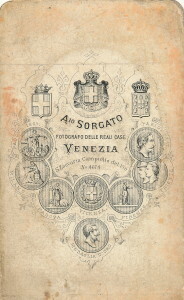 The last pages of the album are filled with smaller photos taken at a later date then most of the photos thus far presented. I will skip those for now, choosing instead to end with a large photo not included in the album but showing so may of our relatives that it must be a fitting end to this entry of Aunt Bessie’s Photo Album. 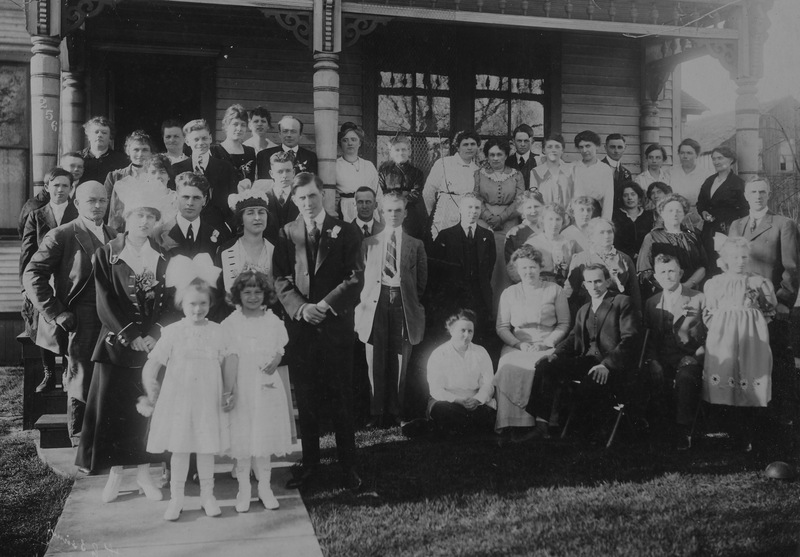 It is of Ruth Thompson Porter Anderson’s wedding to Jerry Anderson. The wedding was officiated by Judge Stacy Clay Thompson, and took place in Manistee, Michigan. 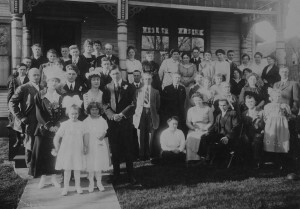 Grandma Ruth’s photo after Bessie’s, it must have 1916 not 1918, because it was taken in Manistee before she was married, because; Jack was born July 2, 1917, after they were married. An enjoy read. 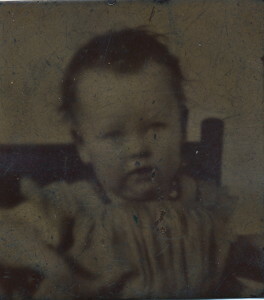 Sid you enter the metal plate photo of Ida May when she was a young child? Forgive me David, Jack P. Anderson’s birthday is May 2, 1917. Not in July.